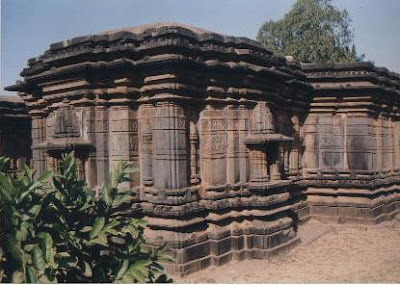 KAMALA NARAYANA TEMPLE: Degaon 24 km from Bailhongal and five km from Kittur is a place with rich antiquity. 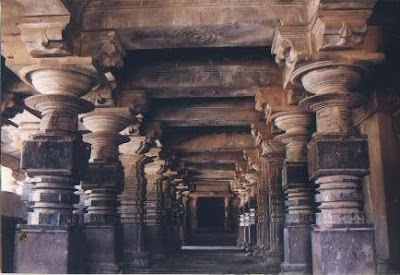 The place name might have originated from its temple complex Devagrama meaning a village of God. The striking monument here is the magnificient Kamala Narayana Temple, built by the Goa Kadamba queen, Kamaladevi in the 12th century. The sculptures are breathtakingly beautiful. Lions and floral motifs vie with dancing girls for attention. This entry was posted on Tuesday, January 15, 2008 at 11:53 PM and is filed under Bailhongal, Degaon, Kittur . You can follow any responses to this entry through the comments feed .